Proper diagnosis, early detection, and treatment are important in successfully managing arthritis. Diagnosis is usually made following an evaluation of medical history and a physical exam. X-rays may be used to help confirm a diagnosis or determine how much bone damage and cartilage loss exists. A family doctor or primary care physician may be able to diagnose and treat common types of arthritis. You may eventually be referred to a rheumatologist, or arthritis specialist, for further treatment. Consult your physician to determine a treatment plan that best suits your needs. While there is no cure, arthritis is manageable and symptoms can be minimized. Early treatment results in less joint damage and pain. Each individual may respond differently to various treatment options, but starting a combination of therapies as soon as possible seems to have the best effect. A good treatment plan considers the severity of the condition, the joints affected, your age, activity level, and other medical conditions. 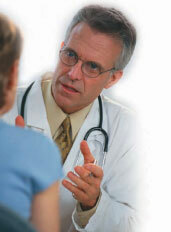 You and your physician should determine a treatment plan that best suits your individual needs. By taking an active role in the treatment of arthritis, you can alleviate symptoms, prevent progression and improve the function of your joints. Perhaps the best thing you can do! Control your weight to reduce strain on joints. Every pound gained means added pressure on the knees and hips (and more pain!). Exercise strengthens muscles and keeps the joints flexible to increase range-of-motion. Stretching also increases flexibility. Strong muscles help support joints. 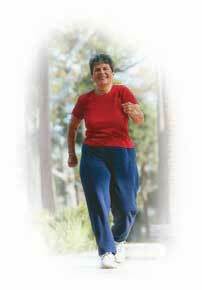 Range-of-Motion exercises, muscle-strengthening exercises and low-impact activities such as walking, bicycling or swimming are ideal. During periods of pain or inflammation, joints are unstable and more prone to injury. 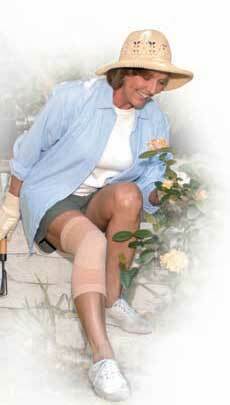 Rest and limited activity will help prevent further damage to affected joints. Avoid repetitive motions when possible. Support and protect your joints with the use of over-the-counter braces. Assistive devices make work easier and prevent strain and stress on the joints. Analgesics relieve mild-to-moderate pain but do not relieve swelling or inflammation. 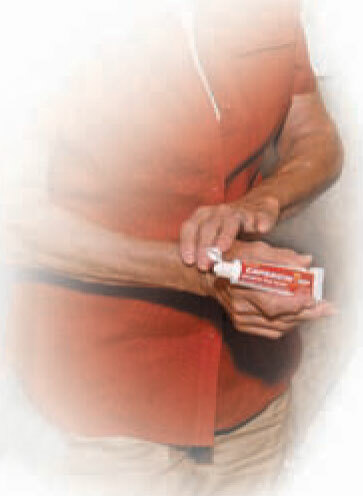 relieve pain and other arthritis symptoms. Salicylates – Topical salicylates reduce inflammation and pain by blocking the release of a certain fatty acid that causes swelling. Since they work in the same way as aspirin, people who are sensitive to aspirin should consult a physician before use. Capsaicin – Capsaicin is a natural substance found in hot chili peppers. In topical creams it gives warmth to the skin and surrounding area However, the real benefit is that Capsaicin works past surface pain to the molecular level. Capsaicin relieves pain by blocking the transmission of a pain-relaying substance called Substance P to the brain. Best results typically occur with 2 to 4 weeks of continuous use. Capsaicin is the most recommended topical for arthritis sufferers. Non-steroidal anti-inflammatory drugs (NSAIDs), including aspirin and ibuprofen, help reduce swelling, inflammation and moderate to severe pain. Prescription medications may be incorporated into a treatment plan to treat a wide variety of symptoms. Local steroid injections such as injectable glucocorticoids are injected directly into the affected joint for immediate and targeted pain relief. Note:Medication should be taken as directed by a physician. Heat, or the use of hotpacks, relaxes muscles around stiff joints and helps relieve deep, aching pain. A warm bath may help loosen joints and ease pain and stiffness. Certain supports and splints provide therapeutic heat directly to the tender, aching joint. Cold packs applied for no longer than 20 minutes will help reduce any inflammation and swelling. relax muscles and release tension and stress. Surgery may be considered when other treatment options are not successful. Remember, a treatment plan may need to change over time with any changes in the condition (such as progression or an improvement in the condition). Joint Warming Supports that have light compression with ceramic fibers to penetrate body heat deep into the joints and tissues for long lasting pain relief. Arthritis Gloves have Neoprene material retains the body’s natural heat to soothe aching wrists, fingers and hands. Body Warmer Patches are self-adhesive patches which provide up to 12 hours of warmth to relieve aches and pains from arthritis. Therapeutic moist heat for soothing relief. warmth and pain relief to tired, aching feet. Therall premium arthritis products help relieve arthritis symptoms, such as pain and inflammation, while maintaining an active lifestyle.